Beyond the selections listed, our gift shop staff is always available to assist you with finding the perfect gift by calling 314.454.6149. 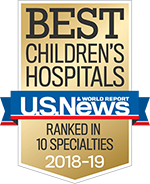 Deliveries are only available to directory-listed inpatients at St. Louis Children's Hospital. Sorry, but we are unable to deliver to patients for same day procedures, clinic and emergency room visits. Gifts are delivered Monday through Friday, 9 a.m. - 3 p.m. Gifts are typically delivered within 24-hours of the following business day from when the order is placed. If the recipient is no longer a patient of the hospital or is not listed in the hospital directory, an e-mail notification will be sent and your account will be credited. Gifts are delivered Monday through Friday, 9 a.m. - 3 p.m. Gifts are typically delivered within 24-hours of the following business day from when the order is placed. If the recipient is no longer a patient of the hospital or is not listed in the hospital directory, an e-mail notification will be sent and your account will be credited. Please be aware that a message that accompanies your gift to a St. Louis Children’s Hospital patient is not confidential. St. Louis Children's Hospital reserves the right to refuse to deliver any gift if it determines, for whatever reason, that the message that accompanies it is inappropriate. In no event shall St. Louis Children's Hospital be liable to you or anyone else for any damages, fees, fines, penalties or liabilities arising out of or relating in any way to the content contained in the message that accompanies your gift. Due to certain health-related restrictions, balloons cannot be delivered to the Intensive Care Units. If we receive an order that includes a restricted product, we will contact you either by phone or email to ask for an alternative choice.